The optional Wide Angle Port M67 for Sony RX100 VI # 9306.02 can be used in place of the housing's standard port for use of 67mm threaded external wide angle wet lenses. This port has been optimized to provide the best combination of wide angle and macro photography. The shorter port length accommodates an effective zoom range of 24-70mm. 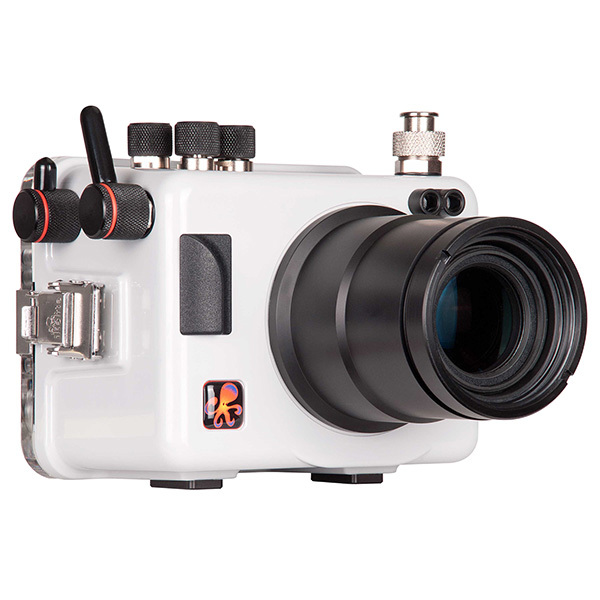 This port is optimized for use with wide angle wet lenses designed for the 28mm equivalent focal length, including the INON UWL-H100, Ikelite W-30, Nauticam WWL-1, and others. Some vignetting (dark shadows around the edges of the image will be present at wider focal lengths. We recommend zooming to eliminate vignetting or cropping your images in post-production. 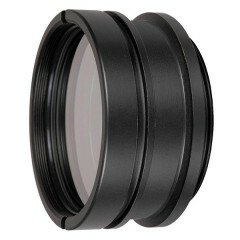 The front of the port also accepts 67mm threaded macro wet lenses. 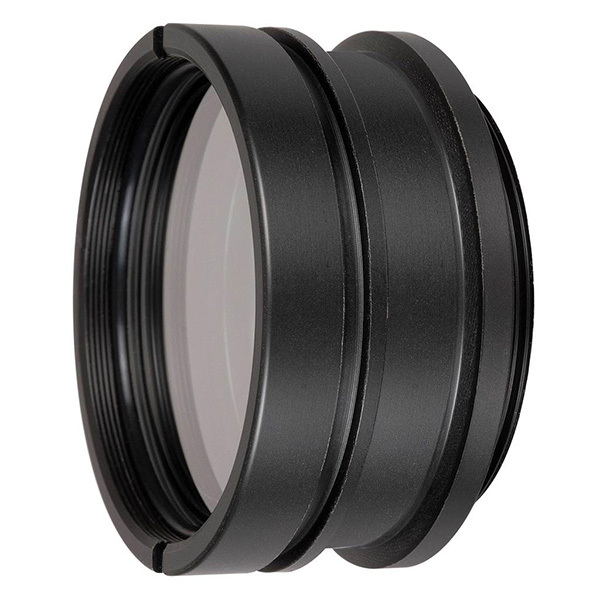 Compatible wet lenses include but are not limited to the INON UCL-165, Subsee Magnifier, Saga close up lenses, Nauticam CMC-1, and others. The standard lens port is removed and the Wide Angle Port M67 simply threads into the front of the housing for quick and easy installation. The camera cannot be zoomed past 70mm with this port attached. The camera will shut down if zoomed past this point. Depth rating 60m / 200 ft.